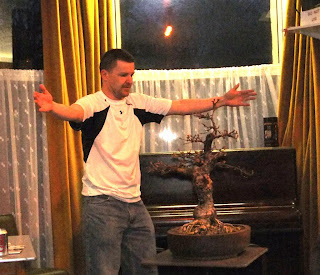 - Lee exaggerating.... a lot. 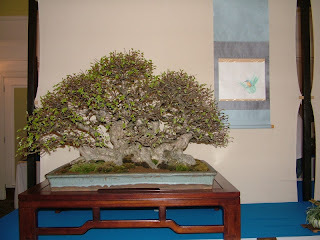 Andy H's Maple, looking good as usual. 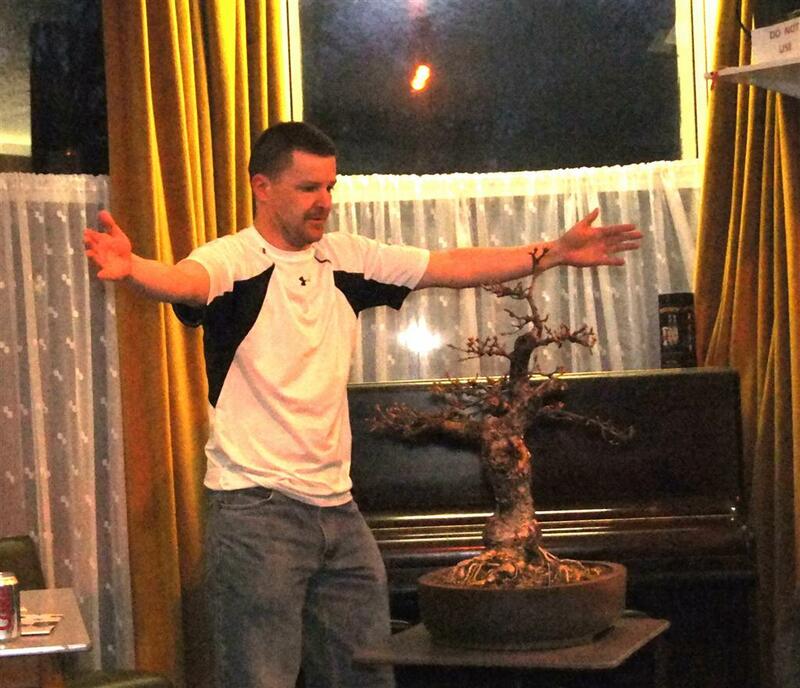 Tony.... not quite so boastfull!! 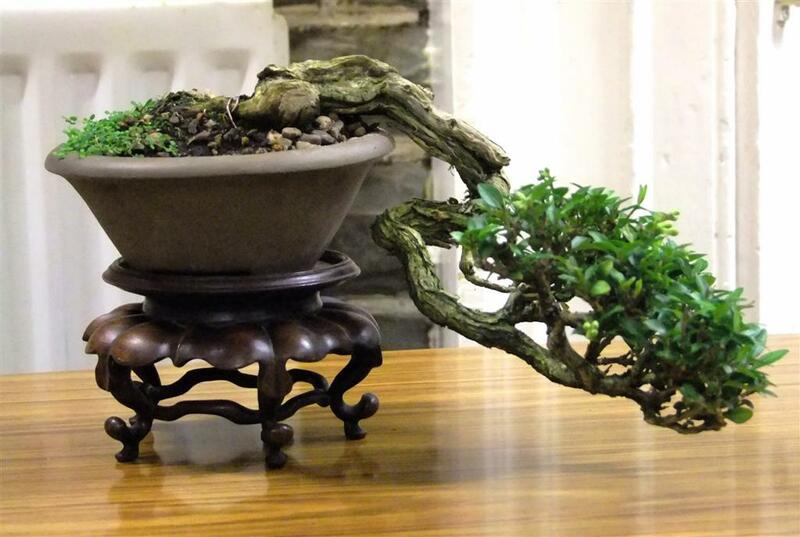 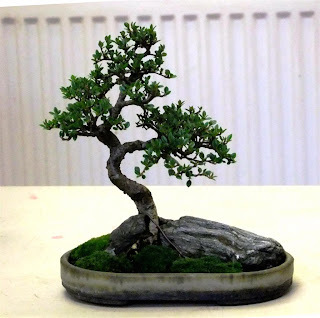 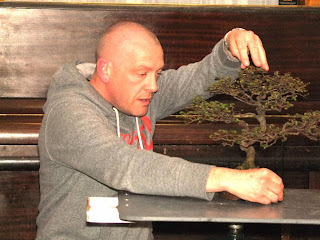 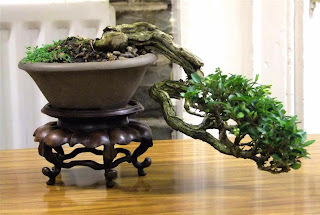 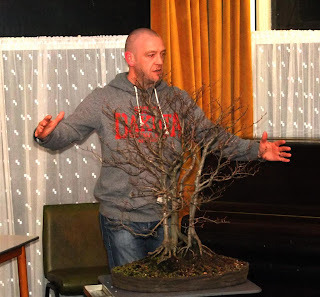 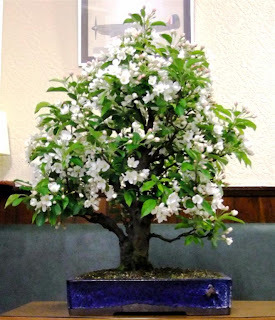 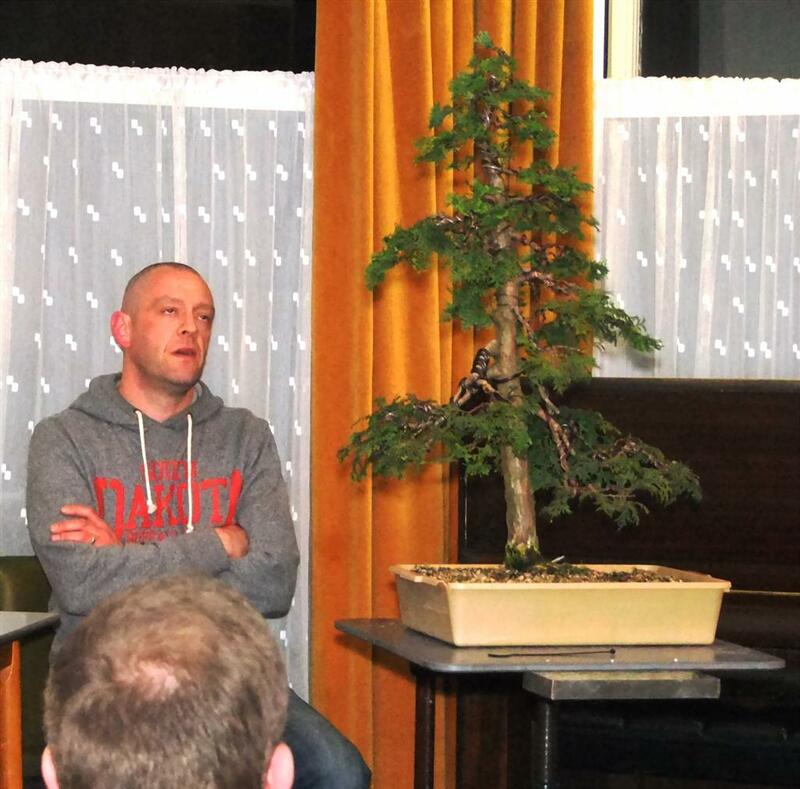 Another good show of members at Wednesday Meeting and the Tree Analysis/ Critique" was extremely well presented with Dave Y opening the meeting with a few words about Both Societies ( W-B-S AND V-O-C-B-S ) being represented at "The Best Of Britain Bonsai Show" The session was then kicked off by asking the owner's of the Tree to give a little insight into their tree, what developments and what is the next step to try and move their tree forward . - Ken, brought his tree up to the Table and got the Critique rolling and Lee was first up with his opinions followed by Andy and Tony and all 3 had the members participating in the discussion and this continued all the way through the evening with over 2 Dozen Trees on show and for me it was great to see members participating with suggestions. 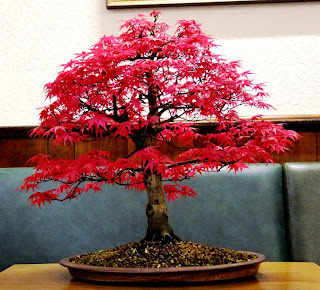 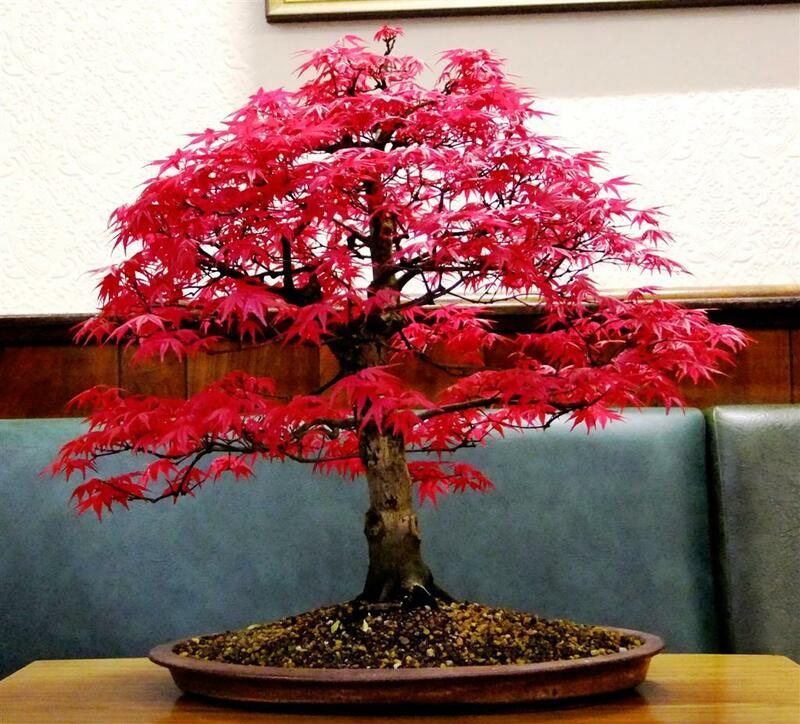 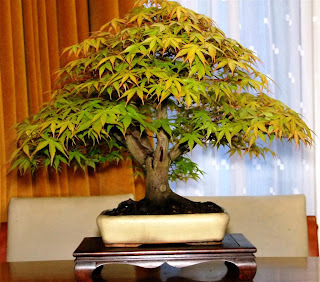 ToTM for April was this beautiful Maple belonging to Sean D.
An obvious one this month..... 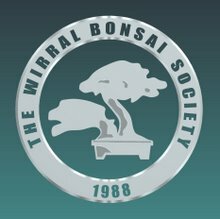 I'm sure you know the event but here's a link to get your directions and be sure you have enough pennies to pay to get in!! - Good luck to all exhibitors.